Some Neighbours -Episode 5: The Revenge of the Grandmothers. Update - Friday's show is sold out. As of Jan 20, there are less than ten tickets left for Saturday and less than 20 for Thursday. Yes those zany neighbours are back with the antics that may or may not be typical of small town PEI! 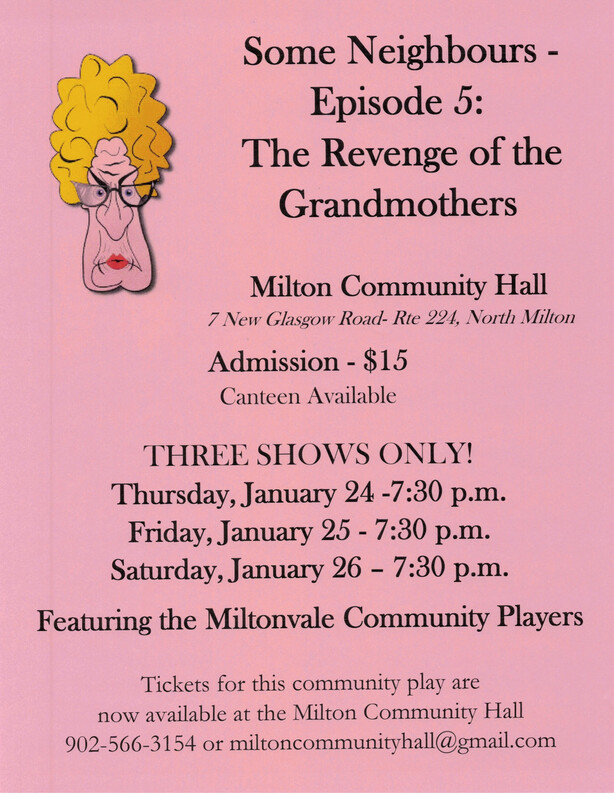 The Miltonvale Community Players are pleased to present their play, written by Ken Williams, David Hooper and Philip Hooper and showcasing the talents of many local folks - including Turnip John and friends. The play will take place on Thursday, Friday, and Saturday evenings, Jan 24-26, 2019 at 7:30 p.m. Admission is $15. 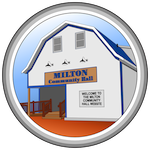 Tickets are available at the Milton Community Hall -and can be picked up at the hall, reserved by email to MiltonCommunityHall@gmail.com or phone 902-566-3154 and paid by cash, cheque or email transfer.